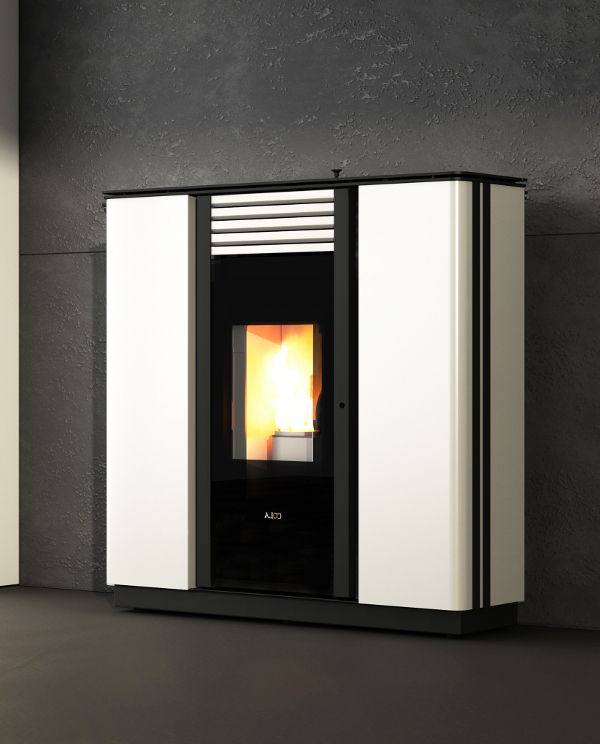 Ventilated pellet air stove in painted steel with screen printed ceramic glass, suitable for limited spaces at only 30 cm deep. It can be ducted with possibility of top/back fume outlet and/or ducting. Pull-out ash pan and handle. Available in five colours.